Following a rigorous external referencing procedure Edbury Daley has been awarded full accreditation by the Association of Professional Staffing Companies (APSCo). In order to qualify for the accreditation and APSCo membership, Edbury Daley agreed to a strict code of conduct and passed an external quality audit with clients and candidates. 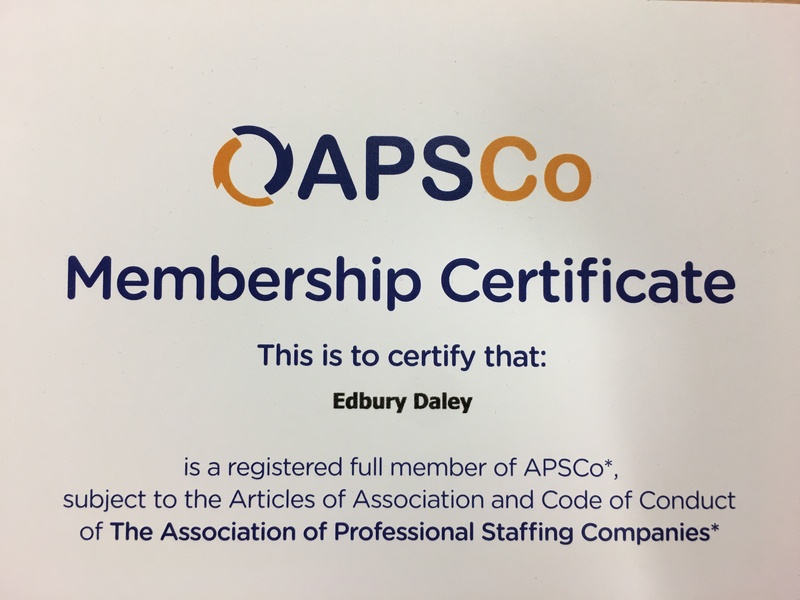 APSCo accreditation and membership “gives candidates and employers a trusted badge of quality” to reference and peace of mind that Edbury Daley is committed to excellence in recruitment. As part of the external quality audit, numerous Edbury Daley clients and candidates were contacted. Questions asked covered the nature of the relationship with the company, awareness of any unethical dealings and any reasons why APSCo should not accept the company’s application for accreditation and membership. Additional feedback from clients and candidates alike was unanimously positive and key to Edbury Daley securing accreditation, with the most frequent comments including ‘professional’, ‘great values’ and ‘reliable’ through to ‘honest’, ‘trustworthy’ and ‘integrity’. Video content is a huge part of both our personal and business lives now. So we’ve decided to embrace the trend and have produced some videos aimed at sharing our professional experience with you. 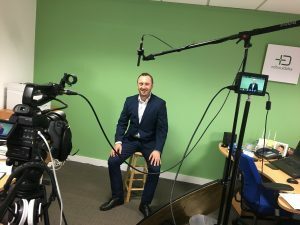 Our ‘vlogs’ will help you understand more about how you can improve your recruitment methods when hiring, advance your own career and learn more about the job market trends in areas like procurement technology. 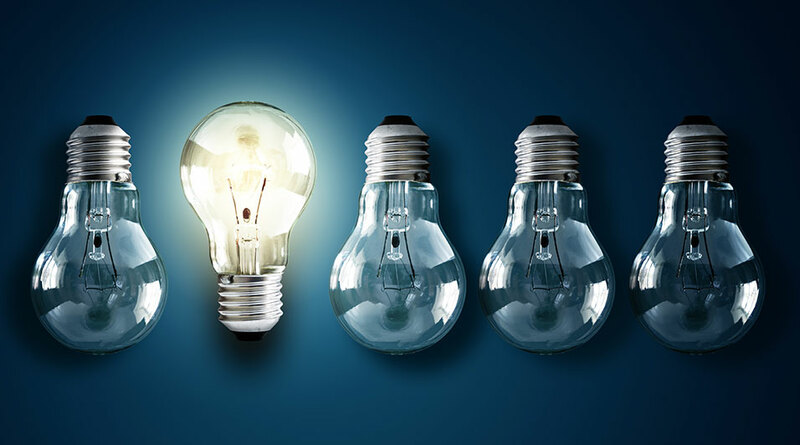 We have had them produced professionally and the content is based on our many years of experience working in the world of recruitment and the procurement sector. 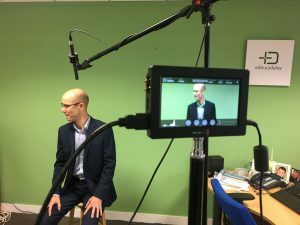 In the week before Christmas, we spent a very enjoyable day filming what we believe will be some really valuable content. 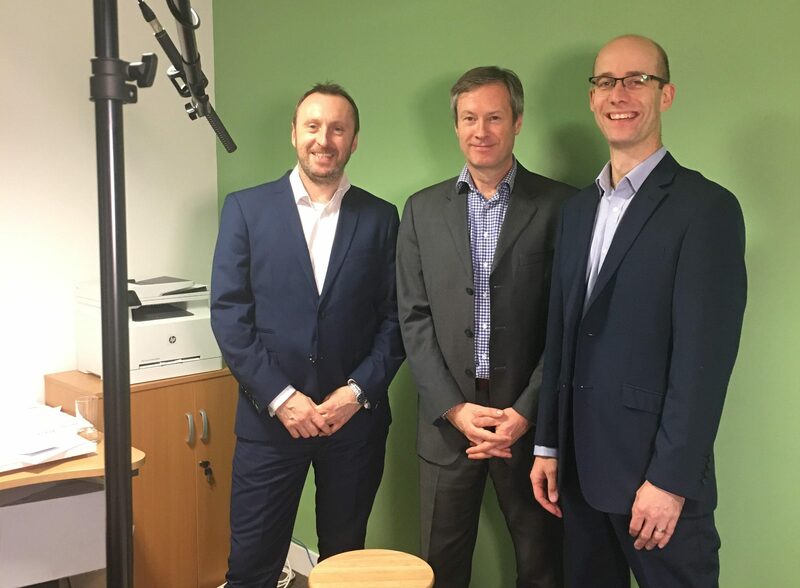 Take a look at the pictures below as Andrew, Simon and Pete make their debuts in front of the camera. 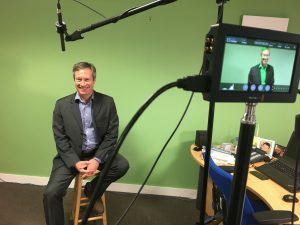 Hiring a specialist creative video producer proved to be a wise investment as we are delighted with the final results. The series of short videos will be published in February 2019 so watch out for details on social media and via our monthly e-briefing newsletter.